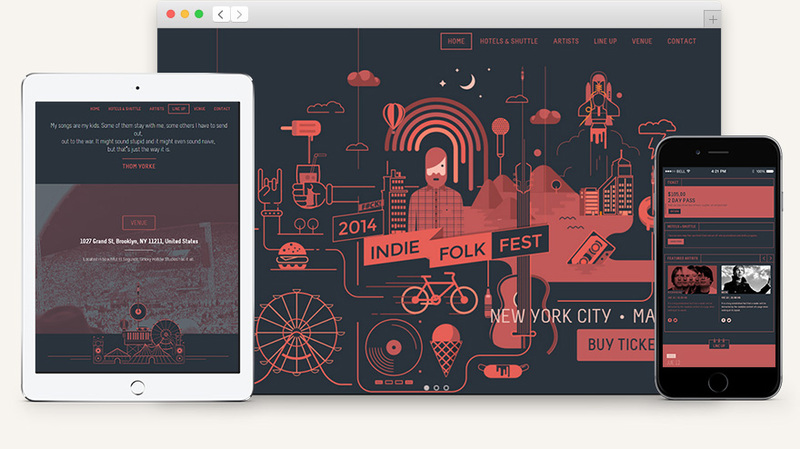 A very trendy HTML5 one page landing template, ideal for an event or company website. Indie has all the different sections, colors schemes, and elements to create with ease any modern website template with a fixed scroll menu and a showcase slider. All Css3 & SVG magic. Every design element has been built through the use of the latest css3 techniques and SVG graphics. We decided to base our HTML5 website templates on the popular front-end framework Bootstrap. We also included one of our custom icon font.